Are women changing 'Unite the Right' or just 'rebranding' the movement? Are women changing 'Unite the Right' or just rebranding it? The controversial "Unite the Right" rally in Charlottesville, Virginia, last year brought together a cadre of white nationalists and Neo-Nazis. But, one gender was noticeably underrepresented: the women of the far-right. The lack of female supporters at the August 2017 event, which ended in the death of one counterprotester and dozens of injuries, could be attributed to a variety of reasons, including how the leadership of far-right groups has portrayed women in the media and a culture of excluding women from certain groups and in certain instances advocating for violence against women. Alt-right activist Richard Spencer, who spoke at the Charlottesville protest, has said he is not sure women should have the right to vote and tweeted that women are too "vindictive" to handle foreign policy. Andrew Anglin, founder of the far-right website The Daily Stormer who helped publicize last year's rally, has a long history of posting sexist comments online – many of them unsuitable to repeat here. So, why are women getting more involved this year for the second Unite the Right rally Sunday in Washington? For Avialae Horton, one of the event's lead organizers, this year's rally is a way to change the "rhetoric" of the far-right. "We’ve wanted everything to be different in terms of our tactics and our approach to this situation than it was last year," Horton said. Horton and "three or four" female friends made up the majority of the women present at last year's rally where Heather Heyer, 32, was killed when a car crashed into a crowd. Horton said she wants to make Sunday safer. "No violence should ever be necessary at any of these events, regardless of your political affiliation and beliefs," she said. "No violence should ever be instigated, and certainly no one should ever have to lose their lives over a political disagreement." Multiple women have been instrumental in planning this year's rally, Horton said. The 21-year-old said the 12-person team is almost split between men and women. Jason Kessler, who obtained the permit for both last year's and this year's rally, said having women on the "front lines" of the movement is "invaluable." "I'm happy to include exceptional women in volunteer and leadership positions. I've been fortunate to have a variety of female volunteers this year," Kessler said. "I'm proud of the women who've volunteered their time and effort to helping make this year's event possible." 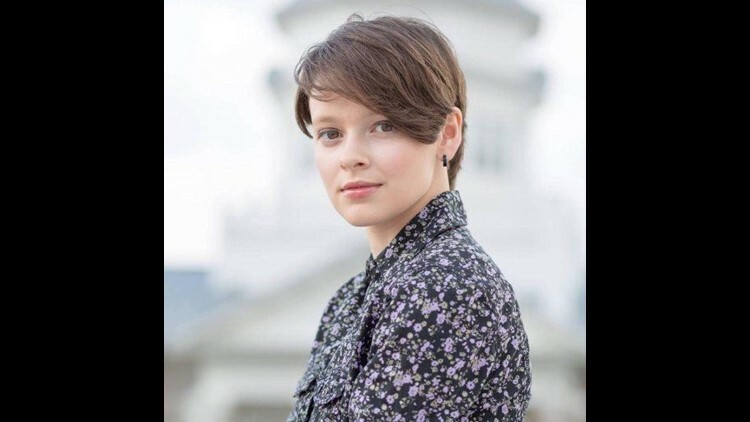 Avialae S. Horton, 21, one of Unite the Right 2018's lead organizers. 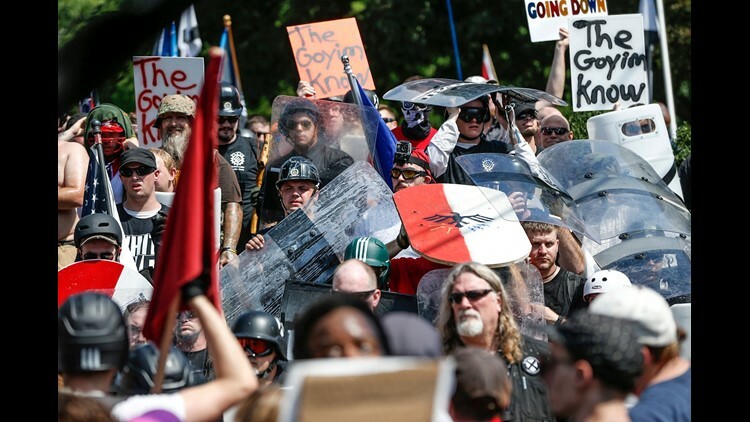 Women getting involved in the leadership of far-right movements such as Unite the Right is still rare, even if they agree with the movement's beliefs, said Heidi Beirich, director of the Intelligence Project at the Southern Poverty Law Center. Beirich said women might be getting involved in the rally because many of the groups who participated last year aren't returning this year. Multiple groups faced lawsuits and other repercussions because of their involvement, in addition to being removed from social media and fundraising platforms. That absence could leave room for women to take on leadership roles, Beirich said. The 2017 rally addressed a broad range of racial issues, such as illegal immigration and the backlash against Confederate statues and memorials. This year's rally will focus on "white civil rights," according to Kessler's permit. Horton, who identifies as a conservative and a nationalist, said she is willing to work with extreme groups, even though some have sexist or misogynistic views, because they can all be united behind causes like freedom of speech. "It isn’t necessary for us to agree on every single thing because we have this moderate understanding that we’re able to have a civil conversation and work together and cooperate without having to agree on all of these ideological differences," Horton said. Horton said the shift in this year's tone will attract different activists on the right, including more women. She said the new rules organizers instituted this year also will help tone down the event. Attendees are not allowed to bring any weapons this year, and they can carry only American and Confederate flags. "I think we are appealing to a larger number of people due to the fact that we’re saying, 'Hey, we’re only going to this event to have a civil demonstration, and that is the only intention we have,'" Horton said. "We are not in any way, shape or form encouraging any kind of violence or radicalized rhetoric at this event." "Hopefully bringing in more women for European-American advocacy will bring some of the testosterone-fueled fight culture surrounding these rallies down a notch," Kessler said. But Beirich called the shift nothing more than a "less obnoxious rebranding" for far-right groups and a tactic to engage more protesters this year. Beirich conceded, however, that women holding so many leadership positions in a far-right rally is a shift for white nationalists.